Have You Ever Worn a Cashmere Cardigan? When it gets cooler would you like a cashmere cardigan to keep you warm? 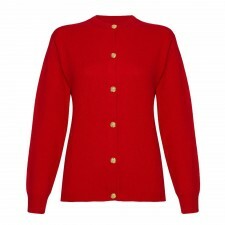 Why don't you spoil yourself with one of our fabulous ladies cashmere cardigans? These pure cashmere cardigans are luxurious and soft against your skin. You'll love the fact they are made from the finest quality cashmere. 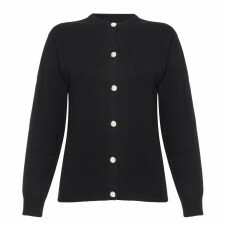 Not only are these ladies cardigans fantastic quality but great value too and make fantastic gifts for your loved ones. Can I Choose a Variety of Colours? Yes, you can! 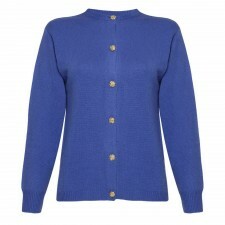 You can buy ladies cashmere cardigans available in a choice of colours and styles. You can wear these cashmere cardigans either casually or for a smarter occassion. They look great worn over a top when the evening gets cooler. Have You Looked at Gretna Green's Cardigans? Here at Gretna Green, you can choose from a wide range of different Cashmere Cardigan styles. Why don't you choose from our very own Berrydale designs? You can also check out the Jacket-Style Cashmere Cardigans in 4 different colours which would make great additions to your wardrobe. And why don't you take a look at the full range of womens knitwear on offer at Gretna Green? All are available for you to buy online.